The remote location of the Puritama Springs makes for a truly relaxing experience. 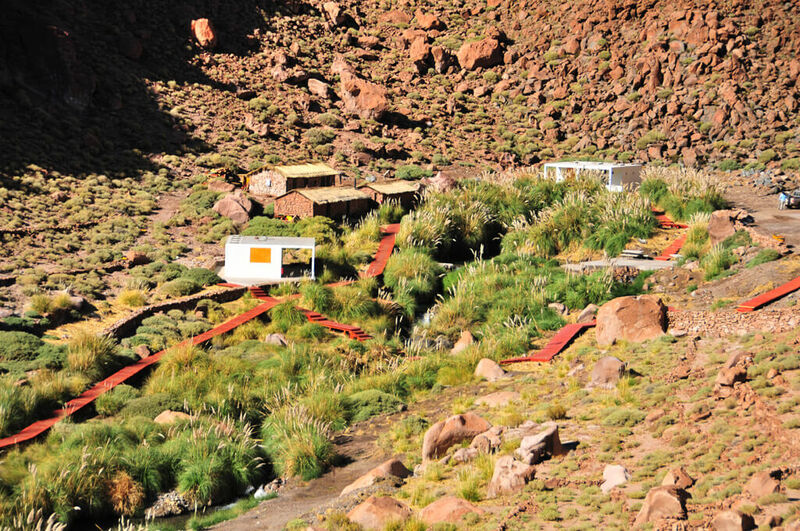 The Puritama Hot Springs are probably Chile’s most famous, and are located in a canyon in the southern part of the Atacama Desert. They consist of 8 natural geothermal pools, some fed by waterfalls, which are linked by a series of wooden walkways. The high altitude spring water contains many minerals said to rejuvinate and heal the body, and the temperature stays around 33 ºC throughout the year. Puritama is around 20 miles north of San Pedro de Atacama, and the best way to visit the springs is during a tour of the Tatio Geysers. Combine a trip to see the famous Condors of Colca Canyon with an Andean spa retreat at Colca Lodge. 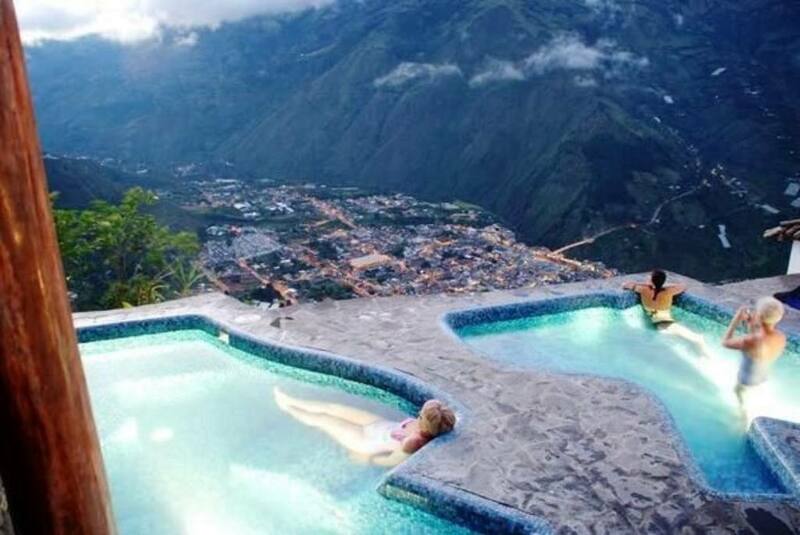 Colca Lodge has some of the most well-known and best hot springs in South America. The hotel maintains a traditional feel, but the highlight is the thermal baths, fed by natural springs. The water temperature varies in each pool and at different times of the year, but can get to 80ºC, and the water is rich in minerals which promote better circulation and healthier skin. There is also an onsite spa, which offers a range of treatments. The Lodge is located alongside the River Colca in the beautiful surroundings of the Colca Canyon, so it can be included in tours of the area or easily reached from Arequipa. 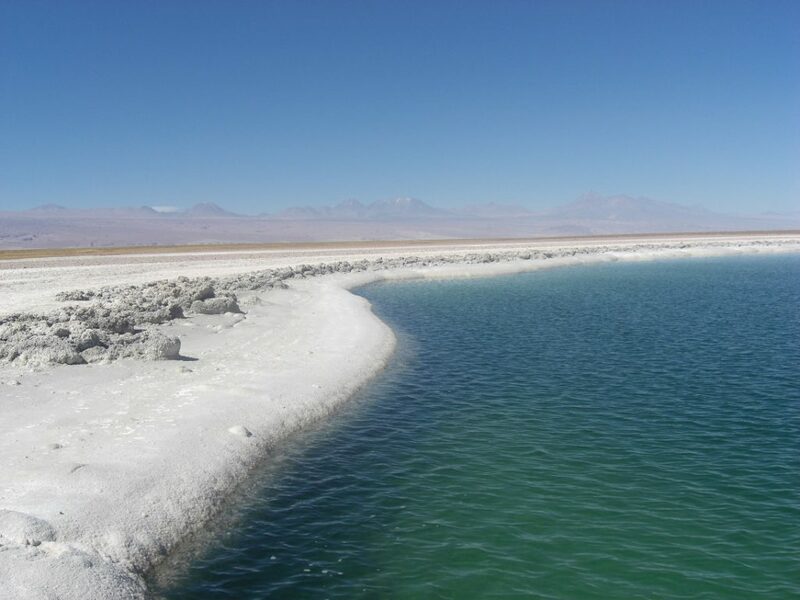 The Laguna Verde on the Bolivian Altiplano might be beautiful but the waters here can reach well below freezing so opt for the a dip in the hot springs instead! The Bolivian Salt Flats are one of the most popular tourist attractions in South American, and these high altitude luna-like landscapes are impressive but cold! This desolate area is located in the Altiplano of the Andes, at nearly 4,000 metres above sea level, and at night temperatures drop below freezing. Luckily, there are a number of thermal pools dotted around the salt desert. These are some of the wildest hot springs in South America, whilst still being easily accessible for tourists to visit. Tours of the Salar usually take in at least one pool, although some are too hot to bathe in. The spa resort of Termas de Cacheuta is highly rated and the perfect addition to a vineyard break in Argentina’s wine region. 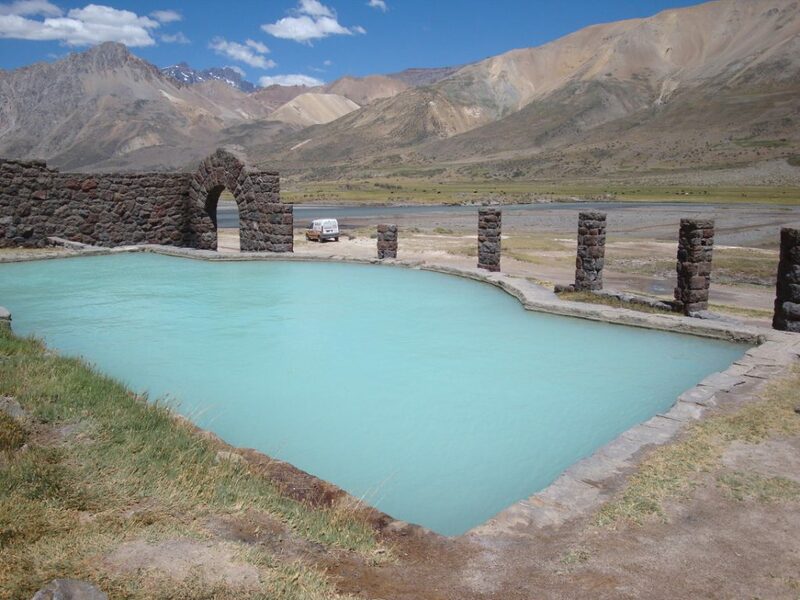 Termas de Cacheuta is probably Argentina’s best loved spa resort, and can easily be visited on a day trip from Mendoza. The hotel has a group of stone pools of different temperatures, with hydrotherapies to relax aching muscles and fabulous views of the wine-growing countryside. The spa offers massages and mud treatments, and there is also a thermal water park for families. Although it doesn’t feel as wild as most hot springs in South America, it’s a good option for those short on time and wanting a spa experience. 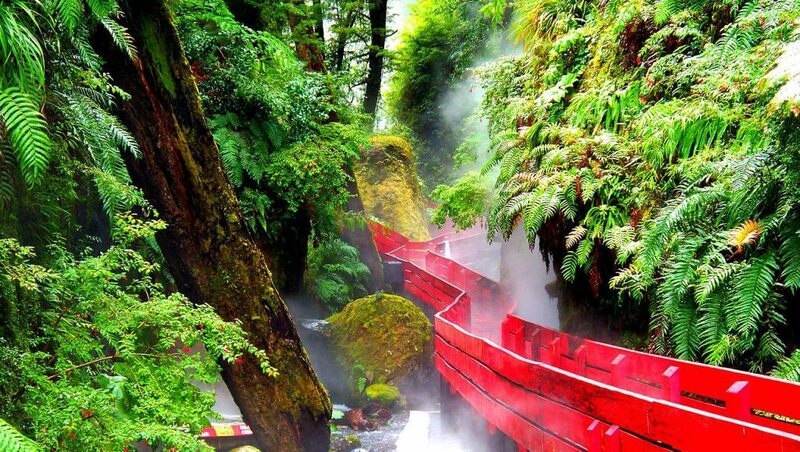 Fantastic design and stunning scenery makes Termas Geometricas one of our favourite hot springs in South America. 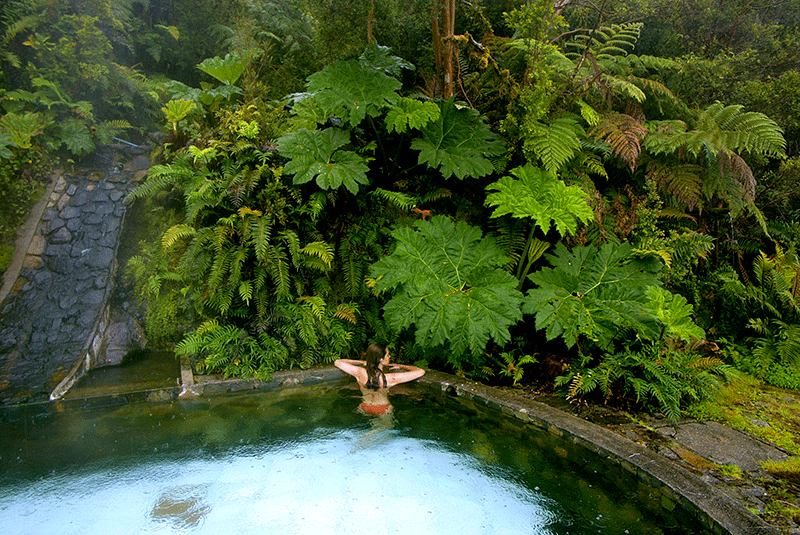 These really are some of the best hot springs in South America, if not the world! They are located in the beautiful Villarrica National Park, approximately 1 and a half hours’ drive from Pucón, in the Chilean Lakes District. There are around 17 thermal pools at Termas Geometricas, with Japanese-inspired red wooden walkways linking them. The volcanic water in some is so hot it’s hard to see for steam! There are also a couple of waterfalls and plunge pools to enjoy here as well, so make sure you set aside a full day to relax here! Aguas Calientes is the jumping point for Machu Picchu, and there’s not much else to attract visitors to the town. 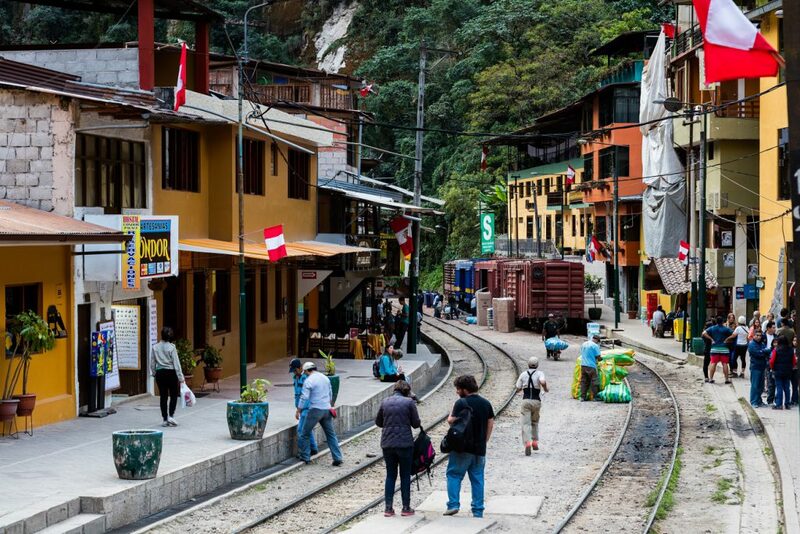 Aguas Calientes, or literally Hot Waters, is the small town at the foothill of Machu Picchu. 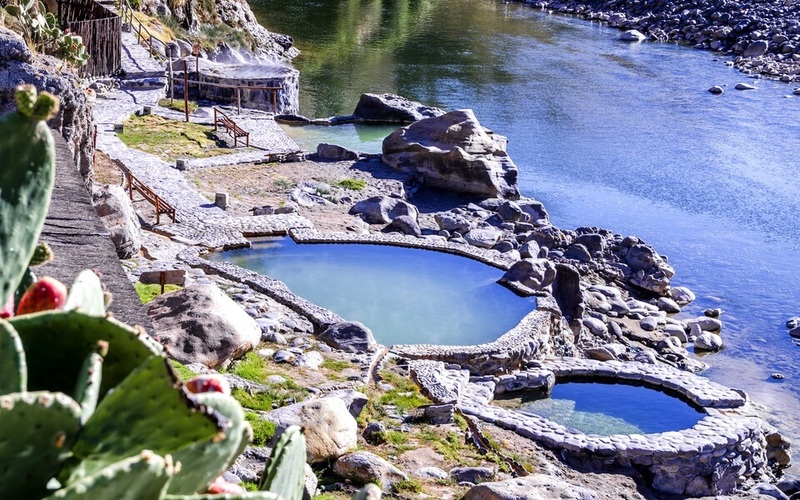 The hot springs that give the town it’s name are nothing special, more like a local outdoor pool complex, but they are the perfect place to relax after hiking the Inca Trail. The pools are fed by subterranean waters which range in temperature from around 38 ºC to nearly 50 ºC, and although they look dirty, this is just the sulphur in the water. The nearby springs of Colcamayu, near Santa Teresa in the Sacred Valley, are much more picturesque and less crowded. Although not officially a hot spring, this thermal spa resort is worth noting for it’s beautiful location in the cloud forests of Ecuador. Plus, the view from the pools is just fantastic! The town of Baños is popular with backpackers, and is a hub for outdoor activities and adventure sports, as well as being located on the edge of the Amazon basin. The Luna Runtun sits 400 metres above the town and offers panoramic views across a national park to the active Tungurahua Volcano, which feeds the hotel’s 4 pools. It’s best enjoyed as part of a longer itinerary in Ecuador, as it’s over 3 hours drive from Quito. This is one of the wildest, least visited hot springs in South America, and you’re unlikely to find it in a guide book. The thermal pool used to belong to the Hotel Termas del Sosneado, which opening in the 1930s and was abandoned less than 20 years later, so the pool sits alongside the ruins of the old hotel. It is fed by the warm springs of the Overo Volcano, and is located an hour and a half upriver of the town of Sosneado in central Argentina, at over 2,100 metres above sea level. San Rafael is the nearest airport, and the only way to get to the pool is by car as there are no buses on this route. Puyuhuapi Lodge feels extremely remote and natural, yet the accommodation is luxurious. The Puyuhuapi Lodge lies hidden in the southern part of the Chilean Lakes District in Patagonia, almost 5 hours drive from Balmaceda airport and only accessible by boat. The area is astonishingly beautiful and remote, and the perfect location for hikers. The lodge offers 3 outdoor hot springs with views of the neighbouring fjord. Steamy water runs into these pools from the nearby rocks, and even the showers in the bedrooms are fed by the thermal springs. The only way to really visit the springs is to stay at the hotel on your journey along the famous Carretera Austral. The Atacama Desert is a harsh environment, so an oasis in the form of a natural thermal pool is just perfect! Laguna Cejar is technically a natural pool rather than a hot spring, but because of it’s location in the Atacama Desert the water can get pleasantly warm on a hot day, especially towards the end of summer. There are 3 lagoons in the area, and in order to preserve the native wildlife, swimming is only allowed in one of them. The best thing about Cejar is the high salt content, which means you simply float on top of the water. Sound familiar? The Dead Sea in Israel is a similar phenomenon. Many tours from San Pedro de Atacama visit the lagoons, which are particularly beautiful at sunset.